Isa 5:6 I will make it a wasteland. It will never be pruned or hoed. Thorns and weeds will grow in it, and I will command the clouds not to rain on it. Now then, let me tell you what I will do to my vineyard. I will tear away its hedge so that it can be devoured and tear down its wall so that it can be trampled. God tells what He is about to do. I will take away its hedge. Green and thorny hedge of Protection. I will pull-down the [gared] a low stone wall. All defences against thieves and wild animals. Apparently the thorny hedge protected the wall. making it much more difficult to get in, over the two. defences. What happened to Judah in consequence of God removal of the Protection. They were overrun by Nebuchadnezzar and were in Captivity for 70 years in Babylon and Medo-Persia. Later they were overrun by the Greeks and then the Romans who smashed their Capital and killed millions, then scattered them throughout the Empire. The first is the revolt of 167-160 BC, when Judah Maccabee led an uprising against the Seleucid Greek rulers of Judaea, painted in Jewish memory as a virtuous struggle against persecuting overlords. In the first four biblical books of Maccabees, the Seleucids emerge as brutal monsters who torture Jews for fun and ban them from carrying out their ancestral practices in the Temple. As John Ma has recently shown, however, the reality was probably more complex: the Seleucids withdrew Jewish control of the Temple and then restored it after a deputation of loyalist Jews interceded. If this reconstruction is right, it points to a much more complex picture of Greco-Jewish relations than the colourful propaganda found in Maccabean literature. 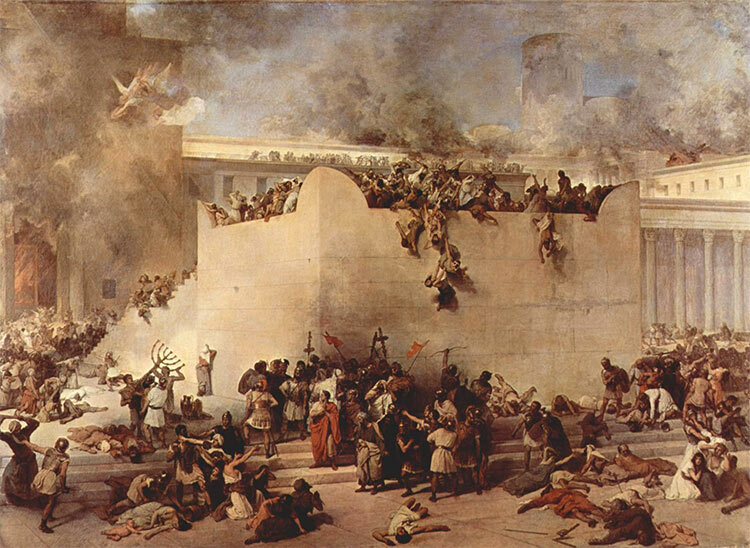 The Roman sack of Jerusalem in AD 70 had an even more profound effect on relationships between Jews and others. The fledgling Flavian dynasty, in the aftermath of the disastrous ‘year of the four emperors’ (AD 69), needed a big victory over an intimidating foreign foe. A Jewish rebellion beginning in 66, unfortunately, fulfilled this need; Jerusalem was torched and the population massacred. Romans then began describing Jews in monstrously exaggerated language. The first pogrom is sometimes considered to be the 1821 Odessa pogroms after the execution of the Greek Orthodox patriarch Gregory V in Constantinople, in which 14 Jews were killed. The initiators of the 1821 pogroms were the local Greeks, who used to have a substantial diaspora in the port cities of what was known as Novorossiya. The term “pogrom” became commonly used in English after a large-scale wave of anti-Jewish riots swept through south-western Imperial Russia (present-day Ukraine and Poland) from 1881 to 1884; during this time, more than 200 anti-Jewish events occurred in the Russian Empire, notably pogroms in Kiev, Warsaw and Odessa. The trigger for these pogroms was the assassination of Tsar Alexander II, for which some blamed “foreign influence agents”, implying the Jews. One of the conspirators was of Jewish origins, and the importance of her role in the assassination was greatly exaggerated during the pogroms that followed; another conspirator was baselessly rumored to be Jewish. The extent to which the Russian press was responsible for encouraging perceptions of the assassination as a Jewish act has been disputed. So the Holocaust by the Gestapo in the 1940s was not the beginning of the Antisemitic Riots but was really the worst with over 6 million Jews and Gypsies killed in the death camps. 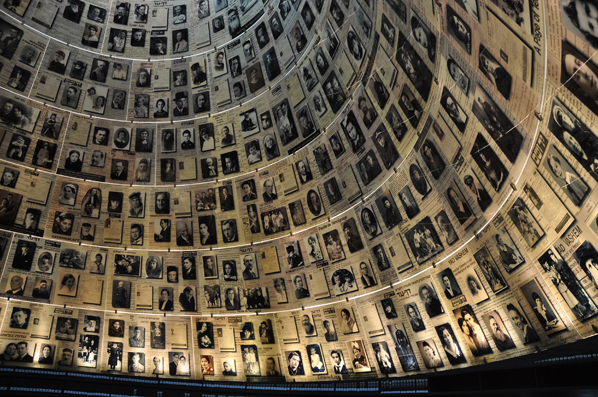 Death Camp Memorials at Vad-Vashem Jerusalem.